Oxidative demethylation: biotic or abiotic methylmercury degradation? Heavy metals are toxic, but sometimes their organometallic compounds are worse. In this respect, methylmercury (MeHg+) represents an excellent example: the detrimental health and environmental effects associated with mercury (Hg) pollution are in fact caused by MeHg+, and not by the metal itself. Methylmercury is produced in the aquatic environment by archea and anoxic bacteria, which use inorganic mercury as a starting substrate. Once produced, MeHg+ enters the food-web and accumulates in organisms such as fish and seafood, which represents the main methylmercury exposure pathway for the human beings. Due to its high neurotoxicity, many efforts have been devoted to improve our knowledge on the environmental fate of methylmercury. In this context, identify and characterize MeHg+ degradation mechanisms represent an important step, as the degradation processes will directly affect methylmercury concentrations in the environment, thus the dose at which we are exposed. So far, four different MeHg+ degradation pathways have been identified. The so-called oxidative demethylation involves the degradation of MeHg+ to inorganic mercury and carbon dioxide by anaerobic bacteria. Differently from the other three processes, which are relatively well understood, many doubts still remain on the details of this pathway despite almost 30 years of scientific investigations. So many, in fact, to bring some researchers back to the literature with a big question to be answered: is oxidative demethylation a real process, or it is just an experimental artifact? Based on the available literature on methylmercury chemistry and biogeochemistry, Kanzler et al. hypothesized that a simple abiotic process could be responsible for the MeHg+ degradation that have been observed in the presence of sulfate-reducing bacteria, the microorganisms that are believed to perform oxidative demethylation. The proposed reaction involves the formation of a binuclear complex, bis(methylmercury) sulphide ((MeHg)2S), which can degrade to insoluble cinnabar (HgS) and dimethylmercury (Me2Hg), a volatile compound. Several factors influence the thermodynamics and the kinetics of this reaction, including the solution pH and the concentrations of the two precursors, methylmercury and hydrogen sulfide. Using a combination of experimental and computational approaches, Kanzler et al. developed a model that allows the prediction of both MeHg+ speciation (i.e., the position of the first equilibrium) and dimethylmercury formation rates as a function of the chemical composition of the medium. Based on this model, the authors showed that the binuclear complex bis(methylmercury) sulphide is the dominant methylmercury species in the pure culture studies that previously investigated the oxidative demethylation pathway. In other words, the methylmercury loss was most likely associated to the abiotic formation of (MeHg)2S, rather than to an enzymatic degradation process. Notably, these former microbiological studies lack abiotic control experiments that might undoubtedly prove or disprove Kanzler’s conclusions. The model was also employed to investigate whether (MeHg)2S decomposition might be a relevant dimethylmercury (Me2Hg) formation pathway in the natural environment. Dimethylmercury represents almost half of the total mercury species in the open ocean, but so far very few explanations have been proposed regarding its formation mechanism. Despite being an appealing hypothesis, very slow Me2Hg formation rates were anticipated in environmentally-relevant conditions, implying that (MeHg)2S decomposition can be a relevant dimethylmercury formation process only in environments with long MeHg+ residence times, i.e. in the subsurface ocean. In this study, Kanzler et al. cast new lights on aspects of the biogeochemical cycle of MeHg+ that are still poorly understood. New work is now needed to confirm the model’s prediction and to update our knowledge on the environmental fate of this neurotoxic compound. 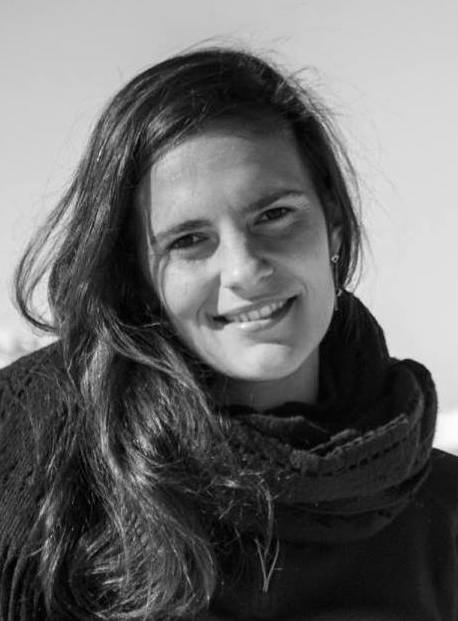 Rachele Ossola is a PhD student in the Environmental Chemistry group at ETH Zurich. Her research focuses on photochemistry of dissolved organic matter in the natural environment. 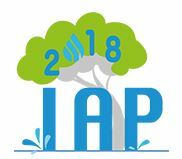 Selected articles based on presentations made at the IAP2018 Conference will be published in three journals of the Royal Society of Chemistry’s Environmental Science series, i.e., Environmental Science: Processes & Impacts, Environmental Science: Water Research & Technology and Environmental Science: Nano. Authors will be encouraged to submit to the journal that is most appropriate for their paper based on its scope. All articles will be collated into a cross-journal web collection after publication. Information on how to apply to publish in a given journal, will be available during the conference. The deadline for submission of all manuscripts is 31st October, 2018. The Royal Society of Chemistry is the world’s leading chemistry community, advancing excellence in the chemical sciences. As a not-for-profit organisation we are committed to supporting the global scientific community; providing continual support for authors and researchers and investing in future generations of scientists. Please note that all submissions will be subject to initial assessment by the Editors and subsequent peer review, as per the usual standards of the journals. 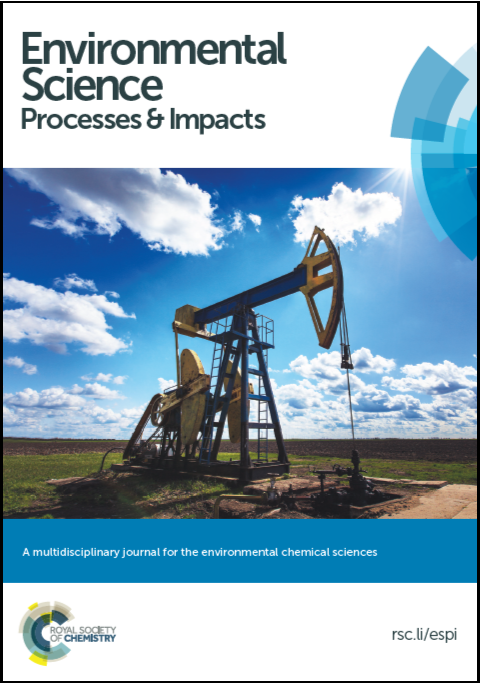 Environmental Science: Processes & Impacts (ESPI) seeks your high-impact research for our upcoming Themed Issue on The environmental geochemistry and biology of hydraulic fracturing. Guest Edited by Rob Jackson (Stanford University), Paula Mouser (University of New Hampshire), Desiree Plata (Yale University) and Avner Vengosh (Duke University), this Themed Issue aims to showcase original research, reviews and perspectives on the topic of environmental processes in hydraulic fracturing. Horizontal Drilling with Hydraulic Fracturing (HDHF) has enabled rapid increases in oil and gas supplies, with these technologies now being applied for hydrocarbon development in shale basins across the globe. Concerns regarding the environmental impacts of HDHF technologies have spawned new research over the past 10 years. 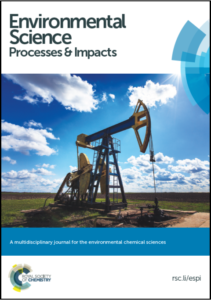 In this special issue, we seek to report state-of-the-art knowledge across a broad range of chemical classes (e.g., methane, light, and noble gases, hydrophilic and hydrophobic organic compounds, inorganic chemicals, isotope tracers, radioactive elements, and heavy or rare earth metals) and disciplinary perspectives (e.g., environmental microbiology, geochemistry and biogeochemistry, fluid dynamics and hydrology, as well as public health and policy considerations) that integrate new research findings in environmental processes. The overarching goal of the collection will be to highlight the significant advancements made toward understanding the potential environmental impacts and vulnerabilities of HDHF technologies, assemble important novel contributions in the field, and identify current limitations or uncertainties in the research to motivate pointed future study. The submission window for this Themed Issue closes on 27th July 2018. If you would like to submit to this Themed Issue, please get in touch with the Editorial Office (espi-rsc@rsc.org) to register your interest. Guest Editors: (from left to right) Rob Jackson (Stanford University), Paula Mouser (University of New Hampshire), Desiree Plata (Yale University) and Avner Vengosh (Duke University). We are delighted to welcome three new members to the Environmental Science: Processes & Impacts Editorial Board. Lenny Winkel is Assistant Professor (with tenure-track) of Inorganic Environmental Geochemistry at ETH Zurich and Eawag, the Swiss Federal Institute of Aquatic Science and Technology. Her current research is aimed at understanding the processes controlling the biogeochemical cycling and environmental distribution of trace elements, and the effects of climate and environmental changes on these processes, through modelling, field and laboratory studies. A further focal point is the development of novel analytical methods to quantitatively and qualitatively analyze trace elements in different environmental matrices. 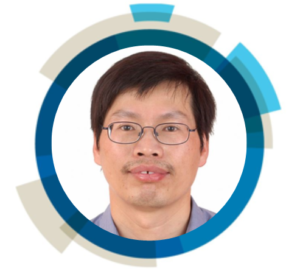 Dr Guang-Guo Ying is the Director and Distinguished Professor of environmental chemistry and ecotoxicology in the Environmental Research Institute of South China Normal University. 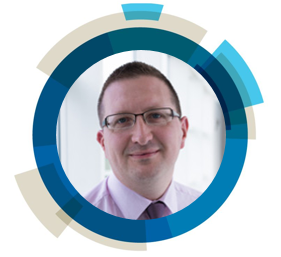 His research interests focus on environmental contamination assessment and remediation technology, including the fate and effects of contaminants in the environment. 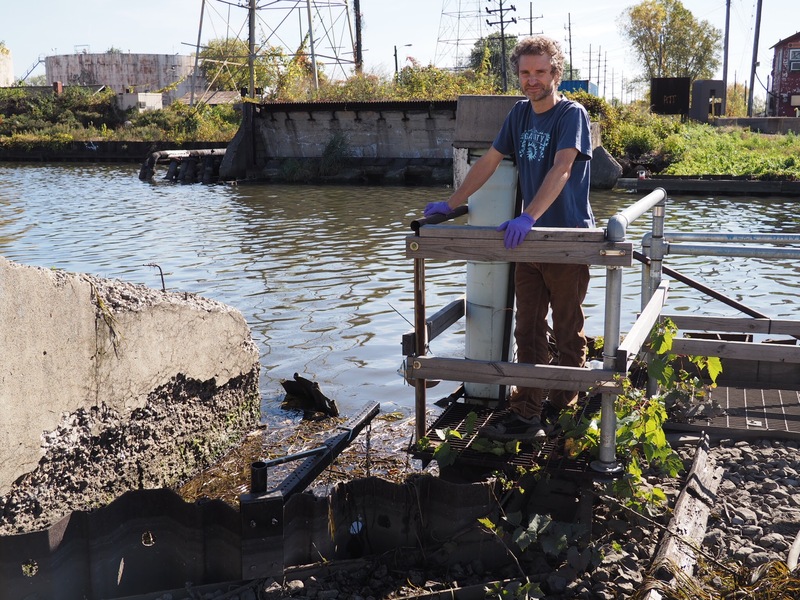 He is currently conducting research in emerging science areas such as antibiotics and AMR, endocrine disrupting chemicals, pharmaceuticals and personal care products in the environment, and environmental issues associated with wastewater and biosolidreuse as well as water quality improvement technology. 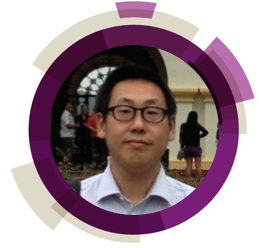 He is interested in the development of chemical and biological tools for the risk assessment of chemicals in the environment. In addition to joining the Editorial Board, Delphine, Lenny and Guang-Guo will be Editors for our ongoing Emerging Investigators Series. This Series aims to highlight the best research being conducted by early career scientists in the field of Environmental Chemistry. Papers included in the Series will be extensively advertised, including a feature interview with the lead author on our blog, a mention in our table of contents alerts and on Twitter. The Series is ongoing, with articles being added to the online collection on publication, meaning there are no submission deadlines. A synopsis of the article intended to be submitted to the Series, including a tentative submission date. This can be an original research or review article. Please visit the journal website for more details on article types. Please note that articles submitted to the journal for the Series will undergo the usual peer-review process. Richard Brown, National Physical Laboratory, UK. Professor Brown’s research focuses on trace chemical analysis to provide traceability for, and improve the accuracy of, measurements of pollutants in ambient air and other environmental matrices. He is also involved in research into complex data analysis and calibration techniques. Tamara Galloway, University of Exeter, UK. 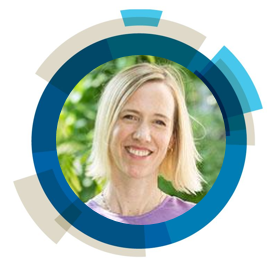 Professor Galloway’s research focuses on marine pollution, the human health effects of pollutants and the sustainable development of novel materials and substances. Colleen Hansel, Woods Hole Oceanographic Institution, USA. Professor Hansel’s research sits at the intersection of mineralogy, geochemistry, and microbiology with the goal of disentangling the reaction networks that mediate metal and mineral dynamics in natural systems. She is broadly interested in how Earth’s changing climate impacts key mineralization reactions essential for organismal health and functioning, including coral calcification, diatom silicification, and mineral-based metabolisms is researching the biotic and abiotic reaction networks that are involved in biogeochemical cycles and mineralization. Hans Christian Bruun Hansen, University of Copenhagen, Denmark. 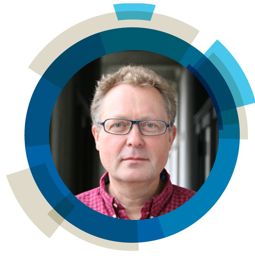 Professor Hansen’s main research interest in solid-solution processes in soils and sediments governing pollutant fate and with applications in soil and water cleaning. Kara Nelson, University of California, Berkeley, USA. 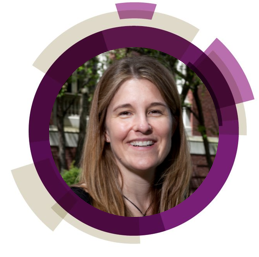 Professor Nelson’s research focuses on the detection, removal, and inactivation of pathogens in water and sludge; water reuse; nutrient recovery; Drinking water and sanitation in developing countries. Weihua Song, Fudan University, China. The goal of Professor Song’s research is to understand key chemical processes of current environmental problems. Specifically, the reactivity, transformation and fate of emerging contaminants in natural and engineered environments. Elsie Sunderland, Harvard University, USA. Research in Professor Sutherland’s lab focuses on how biogeochemical processes affect the fate, transport and food web bioaccumulation of trace metals and organic chemicals. 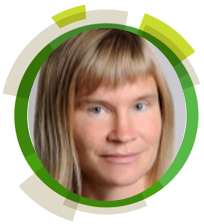 Her group develops and applies models at a variety of scales ranging from ecosystems and ocean basins (e.g., the Gulf of Maine, the North Pacific and Arctic Oceans) to global applications to characterize how changes in climate and emissions affect human and ecological health. We are delighted to introduce our latest Environmental Science: Processes & Impacts Emerging Investigator, Andres Martinez! Your recent Emerging Investigator Series paper focuses on the role of the use of polymeric electrospun nanofiber mats for monitoring environmental organic compounds. How has your research evolved from your first article to this most recent article? It is quite different. Most of my research focus on measuring and modelling PCBs and other POPs in the environment (air, water, sediment) using already tested active and passive sampling methods. Here, we developed “from scratch” a novel passive method to measure more polar organic compounds in water and sediment systems. In your opinion, what is the biggest advantage of using nanofiber mats over traditional organic compound sampling mediums? As we emphasize in the paper, the idea of fabricating electrospun nanofiber mats (ENM) that sample during the equilibrium stage, which minimizes the uncertainty when calculating the environmental concentration. It is very promising (i.e., shorter field deployments and easier analytical detection). In addition to the ENM high surface area-to-volume ratios (S/V), that is a faster sampler, we can improve their uptake performance through surface chemical functionalization and addition of nanoparticles. Generate interesting research questions that can be funded. We are delighted to introduce our latest Environmental Science: Processes & Impacts Emerging Investigator, Anke Neumann! 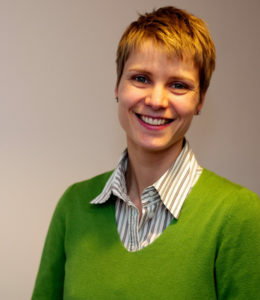 Anke Neumann is an environmental chemist (MSc in Chemistry from ETH Zurich, 2004) and received her PhD from ETH Zurich (2009). She carried out postdoctoral research in Bangladesh (freelance, 2009-2011) and at the University of Iowa (fellowships, 2011-2013). 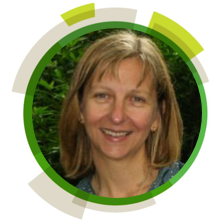 In 2014, Anke joined Newcastle University as a Lecturer in Environmental Engineering. Your recent Emerging Investigator Series paper focuses on sorbed and incorporated As on magnetite and the effect of Fe minerals on As mobility in natural systems. How has your research evolved from your first article to this most recent article? My first article was based on my MSc work on the redox reactivity of Fe(II) species associated with Fe-bearing clay minerals and I have worked on redox reactions of Fe minerals and their effect on contaminant fate ever since. I started working on the interactions between Fe minerals and As after my PhD, when I led and conducted a long-term field project investigating As removal from drinking water with zero-valent iron-based filters in Bangladesh. It was then lucky coincidence that I arrived in Michelle Scherer’s lab as a postdoc just as Brittany Huhmann was beginning her MSc project on As-magnetite interactions, which provided the data for this most recent article. I am actually excited about two projects. On the one hand, my PhD students have been producing very interesting results from their work on contaminant degradation with Fe-bearing clay minerals that they reduced with dissolved Fe(II). On the other hand, I am also interested in oxygenation reactions of Fe(II)-bearing clay minerals, which have long been overlooked and are now – finally – enjoying increasing attention. So, this new field is expanding and quickly gaining momentum, and I am excited to contribute to further developing this field. In your opinion, what is the potential impact of your findings on groundwater quality? I do not think that our findings will change groundwater quality per se but rather increase our understanding of how and where As is sequestered in the environment, for example an aquifer. The new insights will also help us to design and engineer sequestration pathways, be it in situ in the aquifer or once the water has been pumped to the surface. This will be particularly important when we think about water management for the future, which will likely include approaches such as managed aquifer recharge or aquifer storage and recovery and produce conditions under which As sequestration into magnetite could occur. Most of my research focuses on understanding reactions mechanisms and how things work at a very fundamental level. I find it sometimes difficult to convince others of the significance and relevance of my research to environmental issues and ‘real-world’ problems. I usually attend one or two conferences a year, such as Goldschmidt, ACS National Meetings, or the Clay Minerals Society Annual Meeting. My ‘conference season’ has just ended with the start of the new semester and so far, the only set event this year is the biennially held Iron Biogeochemistry workshop. I spend most of my free time with my family. Seeing my daughter (4) grow up, exploring the world, and, just recently, starting school is my reality check and spending time with her makes me realize the (other) really important things in life. This is one of the most difficult questions for me – I never really considered any other profession. I think that if I had to quit being a scientist, I would need to do something really different but I also enjoy creating ‘TOC art’ and similar, although I am not sure that I am sufficiently artistic to make this a profession. As a scientist, your work is constantly being judged: prepare yourself for harsh criticism and also failure to convince, for example reviewers of your papers or grant applications. When I am faced with rejection, I find it important to be able to tap into a broad variety of support: from my colleagues who have been in the same situation and cheer me on; from my friends who engage me in a life outside of academia; and, most importantly, from my family who so naturally confront me with a totally different perspective on things. Environmental Chemistry of Water, Sediment, Soil and Air: Early careers meeting is taking place in London, UK on 14th December 2017. Organised by the Royal Society of Chemistry’s Environmental Science Group, you will have the opportunity to share your research in a supportive environment, network with fellow early career scientists, and hear about the career opportunities available to Environmental Chemists. 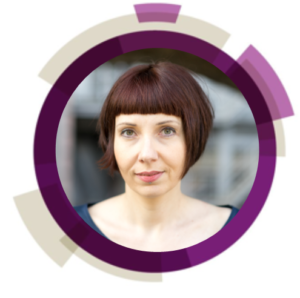 Laura is a research scientist currently working at the University of Manchester. Her research explores how microorganisms affect the fate and transport of contaminants and metals in the natural environment. For her PhD she investigated how natural microbial processes can be stimulated in the subsurface to remediate radioactively contaminated groundwater. 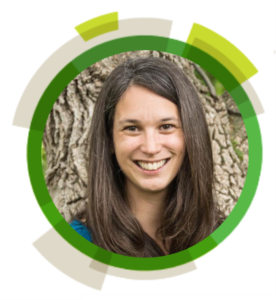 In between obtaining her degree in environmental geology and starting her PhD, Laura spent 6 years working as a radioactive substances and chemicals scientist at the Environment Agency and as an environmental consultant.